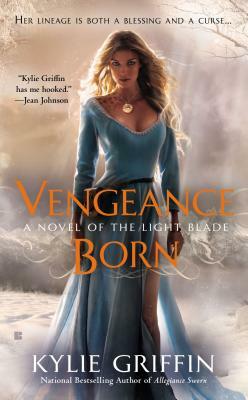 Kalan is a Light Blade warrior who knows the future of humankind depends on him alone. Incursions into human territory and raids for blood-slaves by the Na’Reish horde have increased. As Chosen, leader of his people, he faces the task of stopping the demons. Kylie Griffin’s obsession with all things paranormal/fantasy started at an early age, when she would imagine the jacaranda tree in her front yard was a spaceship used to defend the world from invading enemies. Writing stories seemed a natural extension of her childhood adventures. Kylie lives in a small rural village in outback New South Wales, Australia, and is involved in a number of volunteer emergency organizations, helping during fires, storms, search and rescue efforts, and road accidents.